Internet Marketing Alpha: Building Your Personal List! How important is a list, your very own personal list, when you are building an online business? Think about this. Are you more likely to open an email that has a sender email address and name that you recognize or a sender email address and name that you do not? If you subscribe to a newsletter and you receive an informative newsletter once a week or every few days, are you more or less likely to open an email from the sender of that newsletter than one from someone you don’t know? That’s right–and others online behave much as you do. So if you cultivate a list of your own, sending emails to subscribers who recognize your return email address as one that sends informative useful information, will your emails be opened at a stronger rate than they would if you bought a “safelist” or rented someone else’s list? I think the answer should be clear. Your own list wins hand down. Keep in mind, when you buy a list, it is most probably being sold to many others. So the recipient not only gets your email but 30 or 50 others, all from email addresses they don’t trust. You must develop your own list. So how do you do it? At the very least, you need a web site. It does not have to be anything fancy, just a landing page for interested visitors, where you will put your opt-in script. 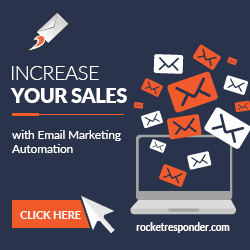 You must have an autoresponder account. You will use the autoresponder account to deliver messages that help you build a relationship with your potential customers. Your emails must be informative and useful in order to keep them getting read. If you provide useful and informative material, people will look forward to your email as often as you send it. If you do not provide useful information, your emails will not get opened. You must have patience. You will not build a huge list overnight. 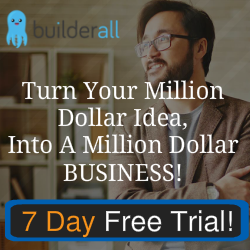 But as you build your list, you will be building a business. A long-term business, with repeat customers. One note to the wise: Be sure you use the “double opt-in” feature you will receive with your autoresponder. This will ensure that anyone who opts in to your list will have to click through to a confirmation link before they receive any emails from you. This helps protect you from SPAM complaints. A word of warning to those who really want to buy a “safelist” and simply email your offer to the email addresses on that list. Is it worth a one-time mailing to get your web site suspended for spam activity? Don’t do it! Build your own high-quality list and develop a strong long-term relationship with those leads.